5 Crises of the Transition from Adulthood to Old Age. Every psychological age has its good and bad qualities and it is important to keep in touch and develop all the ages in order to be a fully functioning human being. The conflict between the generations has now reached an acute, one might say so violent a stage, and is exhibiting itself in every walk of life with such frequency, that an examination of its real nature, its causes and what means should be employed to reduce it, has become a matter of urgency. The general conflict is specializing itself in a variety of subsidiary conflicts and struggles, but these can be grouped under two main heads which should be clearly differentiated. First of all, there is the tension-created conflict which renews itself in every generation between adults and the young, and more particularly between parents and children. This is an aspect of the wider and perennial conflict between authority and control on the one hand and freedom and independence on the other. Conflicts of the second type arise during a general crisis or when a particular civilization and culture is declining towards its end, and another, new and different, is beginning. These crises have occurred cyclically in past epochs, but they have been partial, that is, limited to certain areas or zones and to specific sectors of humanity-at most they have been no more than continental in extent. The present crisis of humanity, by contrast, involves the whole of humanity by reason of the total planetary coverage of modern means of communicating information. Every sphere is witnessing an urge, an insistent demand for renovation and forthright rejection of the past. At the present time the two types of conflict are at their peak, and this explains the intensity and violence which are accompanying their manifestation. Whether we wish it or not, we are present at, or rather participating in, the rapid decline and twilight of an era and the tumultuous opening of a new one. A constructive solution of the present crisis and the furtherance of the transition from the old to the new era demand the attenuation of the conflict between adult and young (the first type mentioned above), and an effort to establish mutual understanding and collaboration. Difficult as these undertakings are, they are feasible, and I will endeavour to give a brief indication of the lines along which they should be conducted and of their methods of procedure. A primary step must be to establish rapport between representatives of the two generations by means of dialogue. There is a method I have always found successful in promoting rapport with the young. It begins by asking their forgiveness for the world in which they find themselves, seeing that it has been created by adults; and by sincerely acknowledging its many and grave defects. “You have good reason”, I say to them, “for distrusting adults and refusing to adopt their ideas and positions.” Paul Toumier, one of the pioneers of humanistic medicine has expressed similar views. His book Les desharmonies de la vie moderne, is dedicated to his children with the words: “To our two children and to the younger generation, whose forgiveness our generation must beg, for bequeathing them so sick a world”. This unexpected approach tends to eliminate, or at least reduce the hostile suspicions of the young, and opens the way for the exchange to be carried a step further. At this point the adult must find the particular right way in each case to communicate the thought: “Together let us see if it is possible to substitute collaboration for this conflict, at least in some measure. Then let us try in the interests of all to save humanity from the perils that threaten the creation of a better world, a new civilization and a new culture, one adequate to meet the new demands of the young and the new external conditions produced by modern technology”. Initially, this collaboration requires mutual goodwill, a reciprocal understanding; but its realization will demand the initiative being taken voluntarily by adults. It is not sufficient for adults to go half-way to meet the young, as seems fair on a rational basis; they must go two-thirds or three-quarters of the way. This is not only a psychological necessity. This extra reaching out is the full recognition by adults that the old mentality, the old forms and the old structures are no longer valid, that they can function no longer and that therefore they must be changed and where necessary destroyed—and this includes those which, though good in the past, are no longer adapted to the new conditions. 1. Urgent and immediate solutions, even if only partial and provisional. 2. Intermediate and gradual solutions. 3. Solutions that offer definite and integral results, at least for a certain period. If the young agree with this suggestion, I think that both will find this procedure applicable to all problems, but it is especially suited to the complex issues associated with school and education in general. The final phase is to experiment with the different solutions by means of “pilot projects”. It is best to do this with small mixed groups, mixed, that is, in two senses: groups composed of young people and adults, the adults being experts, or technicians, and also people whose lack of specialized knowledge renders them free from preconceptions or fixed ideas and thus more susceptible to innovatory intuitions. Not infrequently it has happened that unqualified individuals have accomplished things that experts had “demonstrated” to be impossible. Some expert once proved that according to the laws of physics butterflies could not fly; but butterflies, unaware of this, have continued to do so. If groups in different places and countries, one might now say in different continents, will conduct experiments along these lines, they can perform a further valuable service by exchanging the results of their talks and, above all, of their experiments. Such work as this presents adults with a particularly difficult task—recapturing the spirit of youth, and this in two ways: by becoming young with the young and aware that a new cycle of civilization and culture is to be brought into being, which must necessarily have from the beginning a distinctively youthful character. 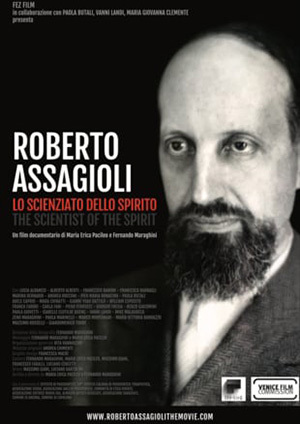 And this leads me to the second part of my subject, the psychosynthesis of the ages of a human being, which consists in keeping alive, conscious and operative in ourselves the best aspects of every age or stage of development in our past. Each age is not per se inferior or superior to others, but each has aspects that, for convenience sake, we may term superior or inferior, harmonious or inharmonious, creative and constructive or passive, sterile and even destructive. An examination of the cycles of human life makes this clear, although on this occasion it must be limited to a general summary. Space does not permit more than a mention, for example, of the numerous differential characteristics deriving from individual constitutional and characterological differences, and from the variety of family, social and national environments in which each individual is situated and grows up. But even so incomplete and schematic an examination may suffice for making a beginning of this integration, this psychosynthesis of the human ages. In regard to childhood, here we find the conception of the natural child identified by Rousseau, undefiled and uncorrupted by having been brought up under the influence of adults. But even in ordinary social environments and without regard to the idyllic and debatable conception of Rousseau, it is clear that children display very positive psychological aspects which frequently go unrecognized and unappreciated. (Some writers have strongly emphasized the qualitative characteristics of the child which differentiate him from the adult. The best treatment of the subject has been contributed by Frances Wickes in her book, The Psychic Life of Childhood, a book that should be read by all parents and educators. It presents a psychological analysis, searching, original and with a depth of penetration rarely found in scientific works on the subject.) The positive psychological traits of childhood include simplicity, ingenuous trust, spontaneous affection, admiration, wonder and joy. Among the negative characteristics we find uncontrolled impulsiveness, lack of mental organization, capriciousness and fickleness, as well as frequent displays of jealousy, aggression and certain forms of cruelty, which are largely unconscious because the child is not aware of the suffering he inflicts on the animals he torments. The age of pre-puberty, which follows roughly from eight to fourteen, has been termed the ungrateful age. It is marked, especially in the case of boys, by acts if not words which represent the first “declaration of independence”. The children rebel against the authority of parents and teachers; and their need to actively discharge their energies prompts them to combative and aggressive behaviour. The problems that present themselves are made much more difficult by the conditions of life in cities, which limit or entirely inhibit a natural and legitimate outlet for their exuberance. But if they are placed in favourable conditions and ably guided, they can display the positive qualities of this age—courage, the spirit of adventure, the capacity to endure physical discomfort—and develop the feelings of comradeship and co-operation through team activities. The practical way of bringing out these qualities is that employed in youth organizations such as the Outward Bound schools for boys; similar group activities exist for girls. At adolescence we also find a mixture of positive and negative elements, but often marked by increased intensity. The positive elements comprise the acquiring of self-consciousness, an often burning and more or less lasting idealism, ideal loves, religious sentiment, enthusiasm and humanitarian self-assertion, an exaggeratedly polemic attitude that gives rise to a lack of understanding and appreciation of the rights of others, and heightened arrogance reflecting a feeling of inferiority, uncertainty, and a retreat from reality. A clear ambivalence is indeed often observable; i.e. the presence of and conflict between opposing tendencies. Here are some of them, as mentioned by Stanley Hall, author of a comprehensive and valuable book on adolescence: excitement-laziness, gaiety-sadness, altruism-egotism, curiosity-indifference, love of reading- craving for external actions, sensitivity to sense impressions-concern with abstract problems; and to this may be added the awakening of sexuality and idealistic love. the higher aspects in the form of impulsiveness, violence, motiveless rebellion, extremism, intolerance, intransigence and fanaticism. In the adult the positive qualities are common-sense born of life experience, a more balanced and dispassionate judgment, organization of the personal life and a sense of responsibility in facing and performing one’s own tasks and in establishing relations with the members of one’s family and society. Here also the negative qualities reflect the exaggeration of the positive ones or their improper application. In one sense they are to be found summed up in the bourgeois mentality, with its desires for economic security and good social position, its tendency to abandon uncomfortable youthful ideals, its conformism and its partiality for the quiet life and stability to the detriment of personal development and individual and social progress. Crises of the Transition from Adulthood to Old Age. We turn now to the Crises of the Transition from Adulthood to Old Age. The first of these may be termed the crisis of the retired person. Many people who feel with advancing years the weight and fatigue of their work look forward eagerly to the time when they will be free, but find that its arrival brings sad disappointment. In fact they experience a disorientation and are at a loss to know what to do. They miss the modest or perhaps considerable prestige and satisfaction afforded them by the position they occupied and the function they performed in society. Inaction weighs heavily upon them and is as, if not more, difficult to endure in its way than was the previous work. Thus retirement is frequently the prelude to depressive states and a variety of neuropsychological disturbances. The remedy consists essentially in awakening other interests; but this can be managed more readily and more effectively if the crisis has been foreseen and these remedies planned, if not already put into operation. The woman who has not been employed outside the home experiences a parallel crisis when for various reasons she finds herself bereft of the functions with which she was generally identified and which gave her life its raison d’être: the functions of a mother and wife. But with the advancing years a deeper crisis may occur, one which, involving the whole personality, may be termed existential. It is created by a refusal to grow old, that is, to accept the limitations and renunciations demanded by increasing age. These are too well known to need my dwelling upon them, beyond remarking that every such attempt must end in failure. A possible and satisfying solution exists, however. It is based on a fact of general significance, but which here assumes decisive importance, the non-coincidence, or rather the independence, of biological age and psychological and spiritual age. It is a fact which is too little taken into account in spite of its being evident under close observation. Many people remain psychological children or adolescents their whole lives, something which happens frequently in the case of artists. I may mention one present-day example: Charlie Chaplin candidly confessed on his eightieth birthday that he was still what he had always been—a child. The mature man, on the other hand, can dissociate himself from his biological age; that is to say he need not follow the descending curve but can redirect himself along a horizontal tangent, so to speak, or even better, an ascending one. This means appreciating, knowing, assimilating and utilizing the higher qualities of old age. The negative and inferior qualities of old age require no description, but mention should be made of the exaggerated importance given to its limitations and physical ailments: a narrowing of the field of interests, an attachment to the past, and a nostalgic yearning for the good old days (which often were in reality not good at all). But this age possesses some valuable positive features. The relinquishment of many former tendencies and activities can be seen and felt to be a liberation, as in reality it is. Conflicts are inclined to subside if not disappear, and one has time and opportunity to adopt other and better ways of living. The quieting of passion and emotion admits of a clearer and more illumined vision; the maturing of experience gathered during the preceding ages becomes distilled into wisdom. The activities the aged can continue to engage in are quantitively reduced while potentially gaining in quality. I will mention one example among many. At the age of seventy-five, the celebrated Japanese painter, Hokusai, writes: “From the age of six I was passionately interested in drawing the forms of objects; but everything I did up to seventy failed to satisfy me. Only at seventy-three did I begin to understand the diversified forms and natures of birds, fish and plants”. Thus harmony, balance and serenity mature in the older person and are the source of a tranquil but profound and lasting joy. Richard Wagner endorsed this with his heartfelt if somewhat exaggerated pronouncement that “life begins at seventy, only then does it become beautiful”. Whoever gains the consciousness of his spiritual self (and this can happen at any age from adolescence on) can disidentify himself from his personal biological and psychological ages by living closely with them as parts to be played, and tasks to be assumed and performed while remaining free. Indeed, in this way he is in a position to perform them better. A woman who is not solely a mother, who does not identify herself completely with the function, is a better mother. (See also my article Life as a Game and Stage Performance). But this presupposes the surmounting of a severe crisis, perhaps the most profound and fundamental a human being is called upon to face. It is a crisis that must unavoidably be confronted by old people: but it should be noted that it can, and in fact often does, occur at any age, being rooted in the brute fact of the inevitability of physical death. Face to face with the thought or prevision of death, many are gripped by fear, anguish or rebellion proportionate to the measure of their attachment to physical life or of their identification of the personality with its physical ties, activities and functions; to the extent also of their fear of the unknown and presupposed annihilation. But not all succumb to these negative reactions; there are many who respond with a different and positive attitude. First of all come those with a firm faith, not necessarily religious but in any case sincerely lived. Then there are some whose more clearly defined beliefs prompt them to trust themselves to life and the unknown without fear and in the spirit of generous acceptance of whatever it may bring. All can achieve this emancipation who have liberated their consciousness from the flux of time and arrived at the inner experience of the reality of the transpersonal Self, the awareness of that which constitutes the innermost essence, the supreme Reality within each one of us. The transpersonal Self is “outside” time and above it. It exists and lives in the dimension of the Eternal. Sometimes the experience of it comes spontaneously, but it can be fostered by various ways and means, which, however, I cannot discuss on this occasion. 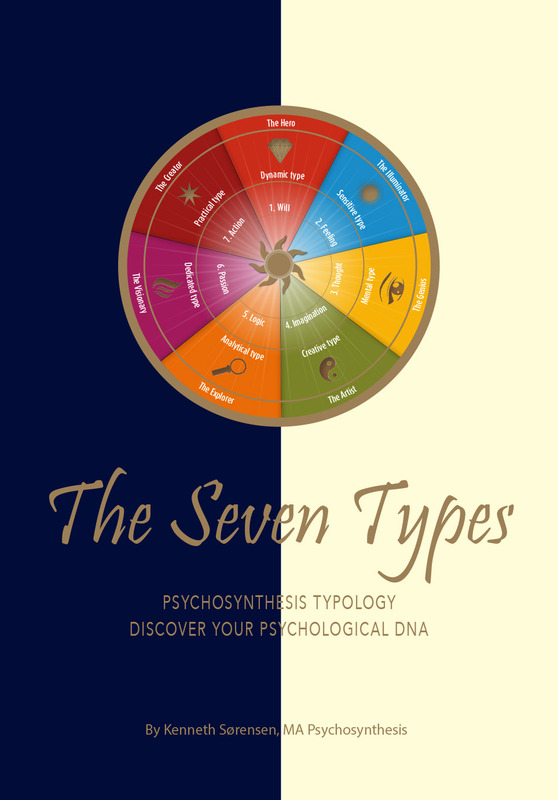 I will mention merely that one of the contributory methods is the exercise of disidentification, one of the techniques used in the practice of Psychosynthesis, and one which I strongly recommend. Experience of the transpersonal Self is not acquired easily. It demands persistent and prolonged training, but the magnitude of the reward merits the needed efforts. These considerations show the way to the realization of a psychosynthesis of the ages. It can be achieved by keeping alive and functioning the best aspects of each age. An older person can consciously re-evoke, resuscitate and cultivate in himself the positive characteristics of all his preceding ages. 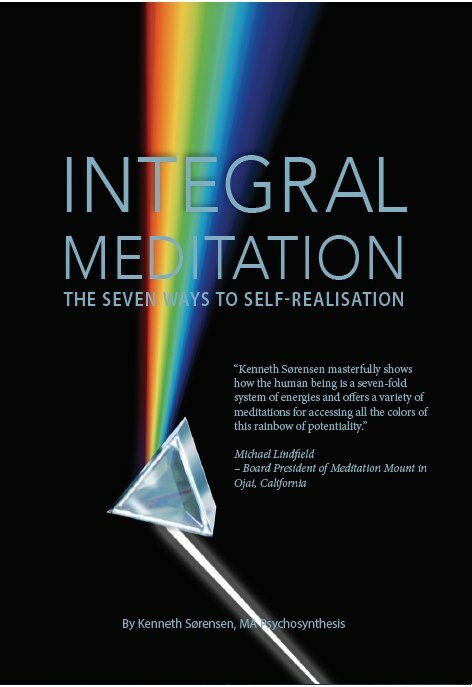 He can do this by means of various active psychosynthetic techniques such as those based on imagination, suggestion, the ideal model, affirmation and meditation .. He can further the process by opening himself to the direct influence of persons of the preceding ages, by seeking the company of children, adolescents and the young. But the older person must be willing to participate actively in the life of younger people by playing with them, talking with them, attuning himself to their level. An older person can intentionally and consciously be a child with children, an adolescent with adolescents, young with the youthful, and an adult with adults. He can “reawaken” in himself the dormant, but not extinguished, child and adolescent. The possibilities and characteristics of the preceding ages are latent in everyone; they can be evoked, and made actual and functional. The process can best be carried forward gradually, that is to say by starting young and elaborating it with the passage of the years. Parents and educators should encourage, indeed promote it, or at least not hinder it: unfortunately the reverse happens all too often. At this point someone may object: “But this psychosynthesis concerns only the elderly, the mature individual, not the young”. Superficial consideration might seem to support this view, but in reality it is not so. There is, first of all, the already mentioned non-correspondence between the biological and the psycho-spiritual ages. In the same way that there are eternal children there are adolescents and young people who possess and spontaneously exhibit qualities pertaining to the succeeding ages. But the young while living their youthfulness to the full can assimilate and intentionally cultivate these qualities, both by suitable psychological methods and by voluntarily opening themselves to the influence of those who possess such faculties, seeking their society, their friendship and their cooperation. They may also profit by the example of those whose lives displayed these qualities and are accessible through biographies and autobiographies, as well as by the study and contemplation of their works. Whilst this process of absorption often occurs spontaneously, it can be intentionally promoted by means of the assimilation of ideal models, which might be termed “creative imitation”. This expression may seem to embody a contradiction but in reality does not. The best examples and models are of those who themselves have achieved the psychosynthesis of the ages. In quoting some, I will first mention an illustrative episode in the life of Michelangelo. When he was eighty, he met a friend in front of St. Peter’s in Rome who asked him, “Where are you going?” “I am going to learn”, was the reply. In fact he was on his way to study anatomy with a doctor. It can well be said that, while there is a disposition to learn, that which is young in us remains active. Then there is Goethe, who until the end of his life retained his youthfulness, falling in love at eighty-four with a girl of twenty for whom he wrote one of his finest poems. But Goethe had devoted his whole life to the formation of his personality, indeed to creating his psychosynthesis (without calling it that). “Yes, I cling firmly to this thought. The ultimate result of wisdom resides in this: Only he secures his own existence who wins it anew every day”. The American poet, Walt Whitman, provides another example. Of him it was said that when young he had the appearance of age, and when old of youth. Let me now mention some individuals with whom my personal acquaintance permits me to present some direct evidence. One of them is Rabindranath Tagore, the Nobel Prize-winning poet, for whom I acted as interpreter during a week he spent in Rome more than thirty years ago. In his conversation with those who came to ask advice, and in his spiritual teaching, his demeanor was that of a wise old man; but one day as we made a tour of the Roman castles, he exhibited a fresh and youthful enthusiasm for the beauties he was seeing, stopping for several minutes to contemplate a field of ripe grain strewn with poppies, which inspired a poem. My second is Herman Keyserling, the philosopher, who in youth exhibited the qualities of maturity and, as soon as he had grown up, formed a “School of Wisdom”. His ever youthful spirit sometimes prompted him to display an unexpected flippant sense of humour. Two recent examples of men over ninety who have shown youthful qualities and defects have been George Bernard Shaw and Bertrand Russell. Not a few women have exhibited a happy combination of the gifts of the various ages. I will mention three whom I have known personally. One is Contessa Maria Baciocchi de Péon, who was a pioneer in applying psychology to the training of the personality at the beginning of this century. She has carried on this work unremittingly, writing books on the subject, and organizing conferences all her life. The second is a French lady who could read fifteen languages and after the age of eighty began to study a sixteenth and not particularly easy one, Tibetan, “in order to keep her mind agile and active”. The third is Contessa Gabriella Spalletti Rasponi, who was President of the Italian Women’s Council. Her house resembled a Ministry, but that did not prevent her from being a good mother and such a conscientious grandmother that she resumed the study of Latin and Greek in order to help a grandson. The Institute of Psychosynthesis, of which she was the first President, is particularly indebted to her moral and material support of its constitution in 1926. 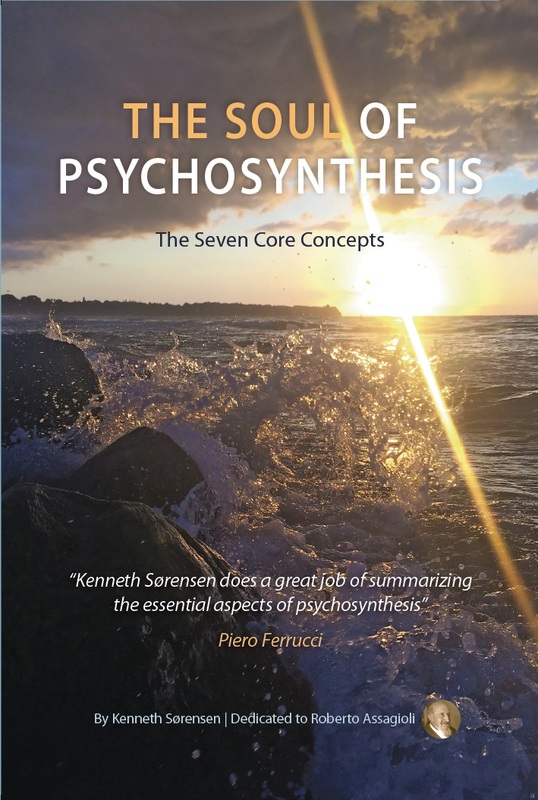 All this is the concern of the psychosynthesis of the ages; it may be related and applied to group psychosynthesis and, in a special way, to the psychosynthesis of the generations, of which I spoke at the outset. A knowledge of the best qualities and outlook of the different ages, and the recognition of the possibilities and effectiveness of their synthesis on the part of all adolescents, young people, mature and old people, will greatly foster communication between people of all ages and make possible mutual understanding and appreciation. Thus many of the dangerous and destructive conflicts now alienating individuals and groups may be eliminated or reduced and fruitful cooperation achieved. In this way humanity will be able to take decisive steps forward towards the luminous goal of a new age in which all, liberated from the conditioning of the past, may realize their highest possibilities.